At the end of the initialization of your MicroBot Hub, you should receive a Magic Link (i.e. 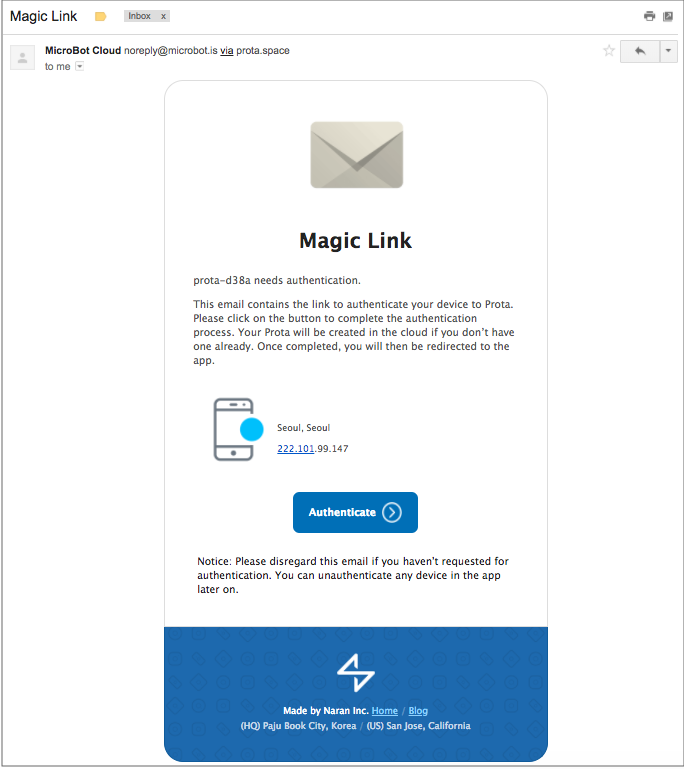 authentication link) by email in order to authenticate your Hub. Make sure that the email address you have entered is correct. Check your Inbox's spam folder. Check that the WiFi network you specified during the configuration process has a stable Internet access. If the problem persists, please contact our Support Team here.